A discounted Apple product is a rare sight indeed, but lo and behold, we've found one! 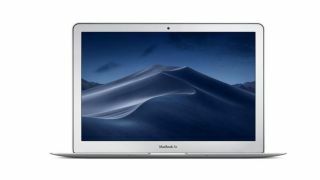 In a cracker of an early Black Friday deal, Very.co.uk has not only knocked £150 off the retail price of this MacBook Air, the company is also offering a further 10 per cent credit back after purchase. That means right now you can get your hands on this 13-inch, Intel Core i5 Processor, 8Gb RAM, 128Gb SSD MacBook Air for £720 - that's an incredible £229 saving! Ok, so it's not the shiny new version Apple has just released, but the 2017 MacBook Air still packs a very impressive punch. Unbelievably thin and light, the 13.3-inch Apple MacBook Air is a portable yet powerful portable computer. Made from lightweight aluminium, it features a whole host of great connectivity options, including USB 3.0 and a lighting fast Thunderbolt 2 port. Tough, slim and very portable - the MacBook Air makes a top partner for busy creatives in work, rest or play. This amazing deal means this MacBook Air is now just a fraction of the cost of its younger sibling. So if your more bothered about budget than you are specs, this is the deal for you. But hurry, the offer ends on Wed 14 November if stocks last, which we don't expect they will! The MacBook Air thin, light and durable enough to take everywhere you go - and powerful enough to do everything once you get there. You won't find a better price on a new MacBook Air. Plus, get an extra 10% off after purchase at Very.co.uk.